It's clear that public support isn’t enough for a government that does not view aid as an election issue. A $300 million cut. That’s what the headlines will say about the impact of this year’s budget on the Australian aid program. But that cut won't happen for another two years and there will be an election between now and then. In the meantime, this year the Federal government's spend on aid will increase - a negligible increase it's true but it will be the first such since the Liberal-National Coalition came to power in 2013. For advocates of a robust and reputable aid program, this year's budget is not a great result but, given the Coalition’s track record, I expected worse. Two years is a long time for the Australian aid program, where forward estimates have never been reliable. The former Labor government couldn’t keep up with the breakneck speed at which it committed to scaling up the aid program, while the Coalition has not kept its 2013 election commitment to increase aid spending in line with inflation. Now the Coalition has deferred cuts to an election year, it has laid down a challenge for Labor which, post-Kevin Rudd, has had a lacklustre commitment to its own earlier promises on aid. It was interesting that no reason for the cuts could be given at the budget lockup on Tuesday other than that the savings would be used to fund ‘other policy priorities’ within the department’s portfolio. The Australian’s scoop that it would be used to fund Australia’s spy agency is the best we have to go on. For an aid program that has been so badly mauled over the past few years, an $84 million increase does not go very far. Humanitarian assistance and the Middle East are the main areas to get a boost. Bilateral allocations have barely changed, while some multilateral commitments have come due. No other substantial policy allocations were made, with the government’s commitment to matching funding with performance clearly still not showing itself at the country allocation level. Notwithstanding the extra funds this year, aid advocates have plenty of reasons to be angry. This government has consistently cut the aid program. As Stephen Howes notes, aid funding has been reduced, when adjusting for inflation, by one-third while all other expenditure is increasing by 16% over the same period. 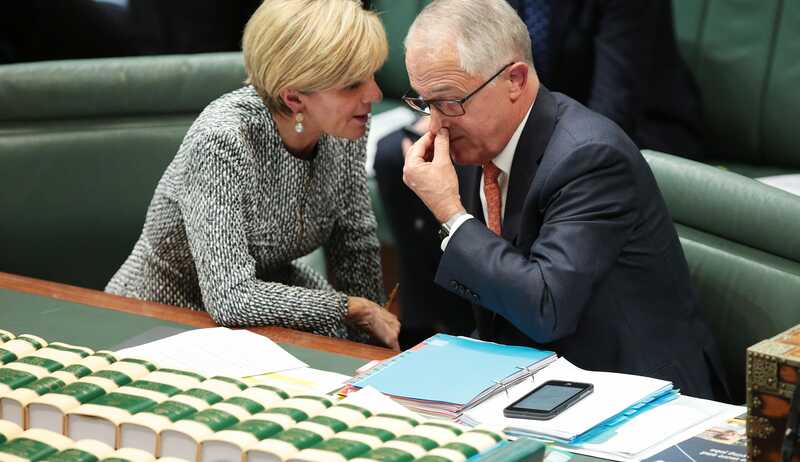 While it is hard to understand why the Coalition is so focussed on finding ‘savings’ at the expense of aid, it's clear there aren’t many in this government prepared to defend it beyond Foreign Minister Julie Bishop. The cuts look even more severe when aid expenditure is expressed as a percentage of gross national income. This measure now sits at 0.22%, its lowest level since first recorded back in 1960. If the current forward estimates hold, it could fall to 0.2% by 2020-21, sending us further down world rankings of aid generosity. According to the OECD we are now in 18th position. On current trends, by 2020-21 we will be in the bottom third of the 32 OECD donors. Meanwhile total global aid flows continue to grow. What’s most baffling about our aid program’s reversal of fortunes is that we have such a remarkable economic story to tell. Now entering our 26th year of uninterrupted economic growth, Australia has not had to deal with the austerity programs that most of Europe has has to face. The UK is the most obvious counterpoint where the Cameron government, despite major pressure from its own backbench and while many areas of spending were slashed, legislated a minimum 0.7% aid spend. The UK example demonstrates the importance of political champions. David Cameron was a true believer in the aid program and he held the line against internal pressure, dragging his party along with him. Public support for the aid program here and in the UK isn’t discernibly different but it's clear that public support isn’t enough to sway a government that does not view aid as an election issue and obviously does not see the value of a robust, reputable and effective aid program. In 2005, nine years into its eleven-year reign, the Howard government committed to doubling the aid program by 2010. True, the budget was in surplus at the time and a slew of traumatic events in our near region (Timor-Leste, Solomon Islands, the 2004 Tsunami) had hammered home the importance of a robust Australian aid program but that decision shows there is precedent for a coalition government to change its tune on aid. Advocacy efforts with all major political parties should be redoubled to demonstrate why our aid program is both in our national interest and an important reflection of our morality and values. We’ve only got two years.